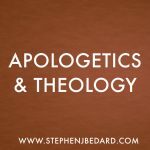 The kingdom of God is arguably the most important topic in the Gospels. It definitely was the core of Jesus’ preaching. But what is the kingdom of God? 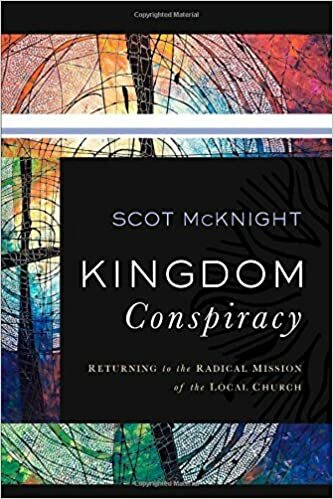 Scot McKnight tackles this important topic in his book, Kingdom Conspiracy. McKnight observes two ways of looking at the spectrum that he cleverly calls the skinny jeans and the pleated pants views. Skinny jeans people (the younger generation) see the kingdom as being primarily about acts of justice. Pleated pants (the older generation) see the kingdom in spiritual terms, such as salvation. McKnight confronts some of the common understandings of the kingdom. For example, he rejects the idea that anything that is consistent with God’s will (such as feeding the hungry, caring for the poor) is included in the kingdom. Such good deeds are admirable and should be encouraged, but they are not the kingdom. McKnight also rejects the idea that the church and the kingdom are separate categories. Many would see the church and the kingdom as overlapping but different. McKnight argues that the kingdom is the church and the church is the kingdom. Only when something is done as the activity of the church, can it be described as kingdom activity. McKnight brings together solid New Testament research with a passion for church ministry. The result is a book that is of value to pastors and Bible students. If the kingdom of God was so centrally important to Jesus, we dare not ignore it. Kingdom Conspiracy is a tremendous resource for reflection on the nature of the kingdom of God. ← What Has Been the Most Influential Book in Your Life? Is Satan in the Old Testament a Good Guy?